The moniker “R-type” is reserved for our most exclusive restorations which represent the ultimate evolution of the Alfa Romeo 105 series. Available either as a GTA-R coupe, a Ti-R saloon or a Spider-R convertible, each example is built with fastidious attention to detail using only the finest quality materials and components. Once completed, each car will have received in excess of 3,000 hours of handcrafted love and attention. Using our unrivalled knowledge and expertise in restoring, racing and evolving the timeless 105 series model, we have developed an intimate understanding and appreciation of what makes these cars so special. 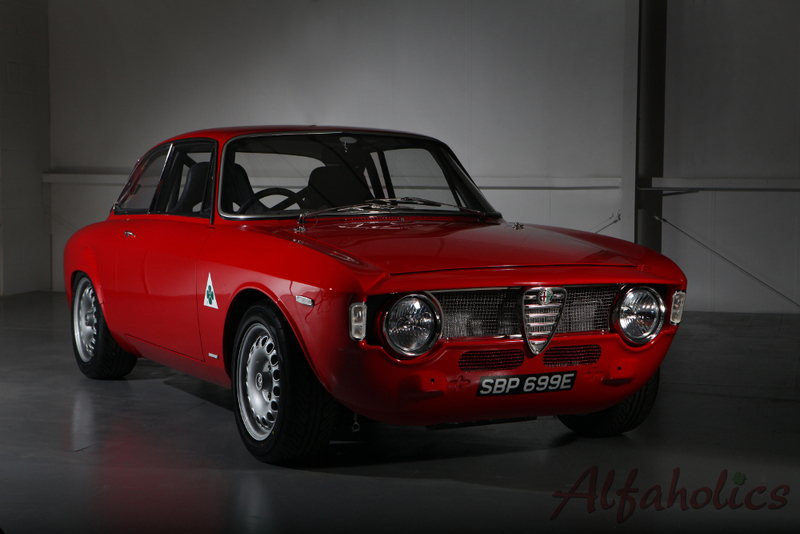 Allied to our continued quest for perfection, this ensures that Alfaholics R-types represent the ultimate expression of the 105 series while retaining the enduring character and flair of these wonderful cars. Each R type is tailored to match the customer’s exacting requirements. We therefore work closely with you throughout every stage of the build process in order to hone every detail to your liking so that we can deliver you the perfect car. You will have the opportunity to select from a range of options relating to engines, gear ratios, suspension packages & damper valving, power steering, seat styles, upholstery, interior lighting, roll cages, dashboard styles and in car entertainment, to name but a few. Our ongoing research and development programme means that there is an extensive range of upgrades on offer for you to tailor your R-type, from modern air-conditioning to carbon fibre body panels and sequential electronic fuel injection to titanium wishbones. Having undergone thousands of hours to achieve the perfect build, your Alfaholics R-type is fully tested and delivered ready for the open road!